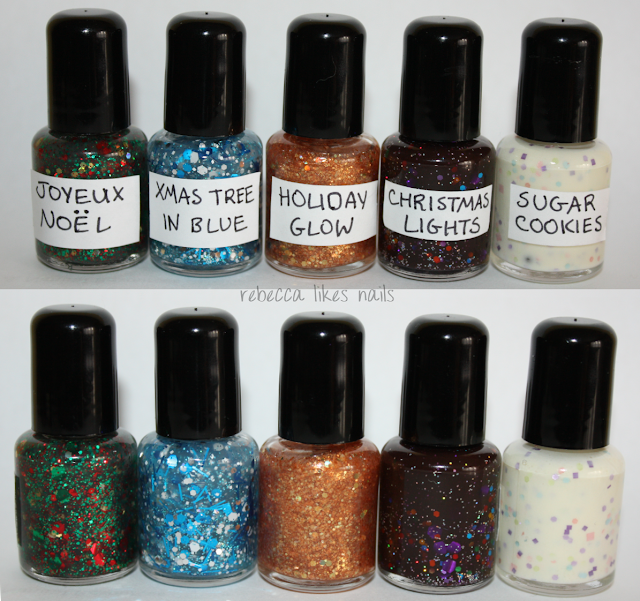 rebecca likes nails: Pirate Polish Christmas Collection - swatches and review! I am loving the first two, great swatches! Christmas lights look really great ! i absolutely love Sugar Cookies,my favorite for sure. the entire collection looks good, the Holiday Glow manicure looks so pretty. I joined Etsy especially to buy these! Thanks for the swatches and discount code!! I like the first one and the last one, but the rest doesn't do anything for me. Thanks for the review! Awesome background! I love the first & last ones, they are gorgeous. Omgeee so nice! I love them all! I'd never be able to pick a favourite, all that glittery goodness!